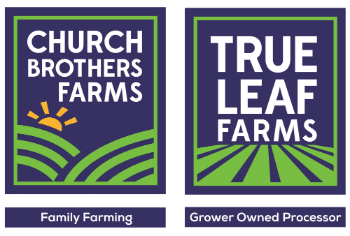 The combined farming programs of the Gill and Church families create a strong, year-round source of raw product for our customers and True Leaf Farms salad processing plant. The map below outlines our current farming regions. Video at right: Brian Church in his own words. PMA TV 2015 Commercial from Church Brothers on Vimeo.